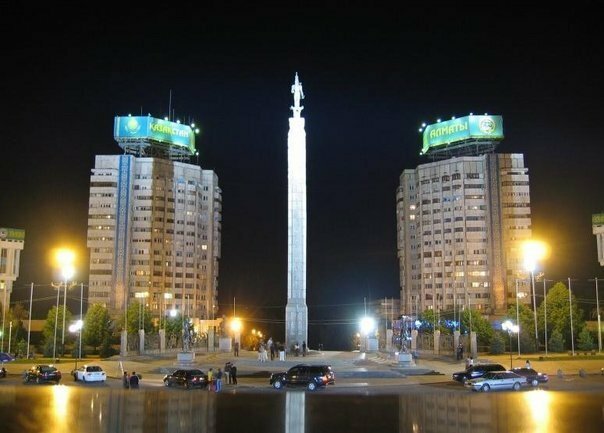 lmaty , orAlma-ata Алматы is the largest city in Kazakhstan with a population of 1,421,868 (at 1st of August 2010) with about 9% of the countries population located in one city, it is certainly a hustling and bustling place to be. It also used to be the former capital of the country, until 1997 when it moved to Astana. Kazakh-Russian Medical University is one of the largest private universities in the country (State license AB 0026246). KRMU had passed four state certifications (1998, 2003, 2007, 2012) and issues State Diplomas. Kazakh-Russian Medical University, formerly Kazakhstani Medical Institute, had opened its doors in 1992, in the wake of major political and economic reforms, when the important role was given to the reforms of science and higher education. One of the first private graduate schools in CIS was founded by Dr. Mukhtar Aliyevich Aliyev, the Member of the Academy of Sciences of the Republic of Kazakhstan, the President of the Academy of Medical Sciences of the Republic of Kazakhstan, the Member of the International Association of Surgeons, and the National Hero of Kazakhstan together with Professor K.M. Maskeev and Assistant Professors V.S. Holubchenko and A.O. Panova. The educational program of the school meets the state standard of education. At the same time, new forms and methods of teaching to improve medical education in the country were successfully tested at the University. The educational process is guided by more than 200 professors, among them are the medical doctors with a worldwide reputation and well-known Kazakhstani and foreign scientists. The students also have the opportunity to study and practice abroad by the program of academic mobility. The education is provided both on a contract basis, and well as by educational grants of the state. We abstain from forming large academic groups, keeping the number down to only 6-10 students. This allows to provide personalized approach to our students. Students have the opportunity to choose their training language (Kazakh or Russian), and are given the intensive course of foreign language studies beginning from their first year.